One of the most important pieces safety equipment for your car is a racing harness. 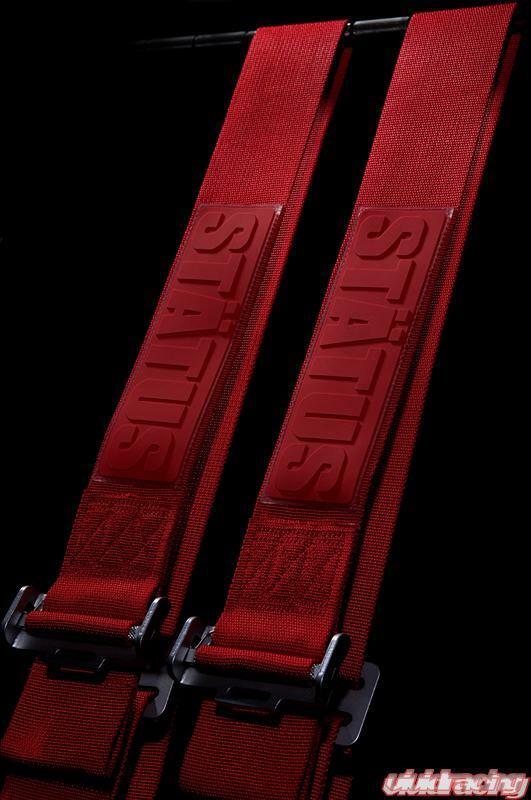 Status Racing brings the same top quality design to these harnesses as they do their seats. A 6 point harness kit is for the professional racer where their organization requires top level safety equipment. The harness kits are 3 inch belts on both the lap and shoulders. The shoulder belts are long enough to extend to the rear seats of sedans or can be wrapped around a roll cage harness bar. A very easy to use Cam Lock design allows for quick disconnect of the belts. This CNC machined aluminum part features an engraved Status Racing logo while the shoulder belts have a rubberized pad with the Status name. 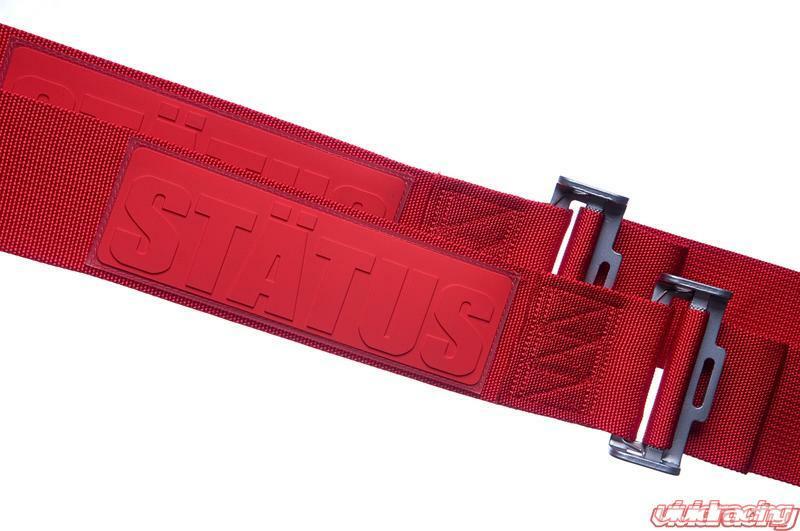 All Status Racing harnesses are a clip in design that allows you to easily install and remove the belts. 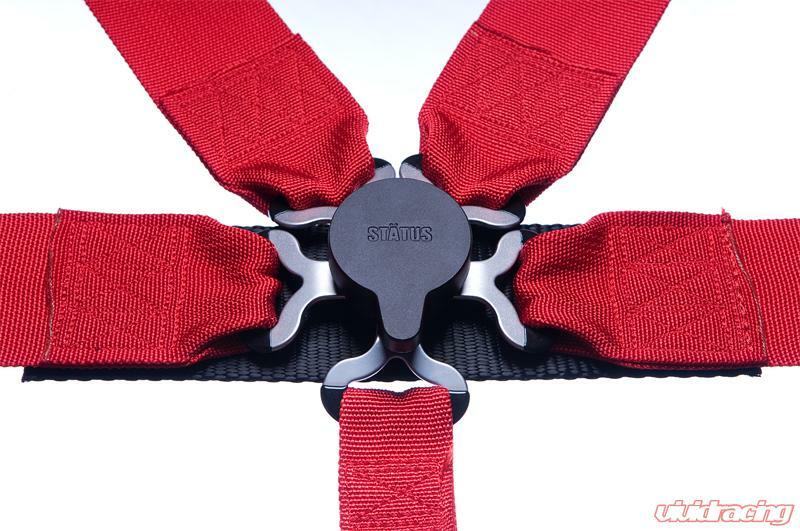 Each Status Racing Harness includes the necessary eye bolts for a quick installation. The Status Racing Harnesses are FIA approved so you can ensure you are equipping your vehicle with proper safety equipment. Harness kits are sold per seat. Founded in 2004, Status Racing brought a new level of style and function to the performance seat market with a full line of composite racing seats. With a successful 7 years of project cars, seat sales, and brand establishment, Status Racing decided to take a new step. 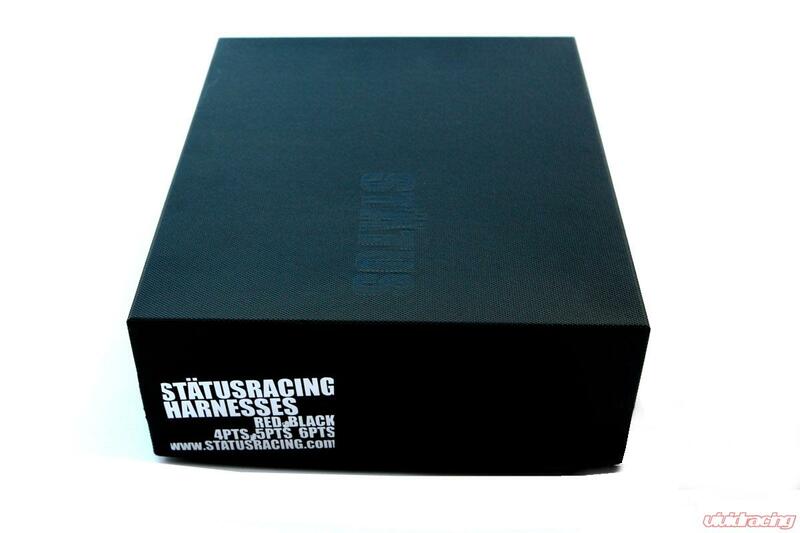 In April 2011, Status Racing changed ownership to help expand the companies potential to new heights. While maintaining its high quality manufacturing techniques and processes in Washington state, Rob Rohn and Dan Mermelstein of the largely recognized Vivid Racing, came on-board as Partners to handle business development along with sales and marketing for the company. With their successful online and retail background, they complement the Washington State office military technology and manufacturing processes. Partner Chris Venti says, "Rob and Dan do something that nobody else can duplicate online. What we do well is manufacturing. This is a great partnership that will allow us to really show the quality of Status Racing."